Our immune systems are our body’s first line of defence against infection-causing bacteria, viruses or other pathogens. The activation of the immune system results in an inflammatory response as the body protects and fends for itself. A properly-functioning immune system is activated by the presence of harmful or unwanted substances, and the inflammatory response ceases when the threat has stopped. 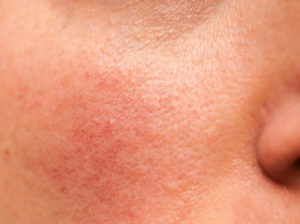 But in people with rosacea, the immune system appears to over-react and produce higher levels of substances that cause inflammation. Besides avoiding triggers and adhering to prescribed medications, a suitable skin care regimen will go a long way in managing rosacea. ZO Medical has recently launched Rozatrol™, a daily treatment serum which simultaneously works to control key symptoms of rosacea including inflammation, vascular degeneration (the appearance of blood vessels on the skin), decreased cellular renewal, excess oil and neuro-aging. Rozatrol™ is part of the ZO® Skin Normalizing System— a complete selection of products recommended by Dr Zein Obagi to treat red, sensitized skin. Ask your dermatologist or healthcare provider if this is suitable for you.